Skip this one, it’s just whining about a head cold. Skip this one, it's just whining about a head cold. I don’t know if it says more about you that you may have thought I meant “in the head” or more about me that I thought you might have thought “in the head” so I instantly jumped to clear up that potential ambiguity. Probably, when someone says “I’m sick” and follows it with “but not in the head” you can go ahead and say “yes, this person is sick in the head.” I had an ex-girlfriend who used the word “Probably” like this, in the beginning of sentences. I didn’t really care for her, and I don’t care for this paragraph. Probably glad she’s not my friend on facebook. Probably this would be awkward if she were. The problem, well, one of the problems, with having this kind of cold, is that it’s not really impressive from the outside. I can walk, run, play lacrosse (not that I ever have/will), make sentences, make tuna fish sandwiches (see: lacrosse), and all of the things that you would assume a reasonably healthy person can do. So, when this running lacrosse person starts whining about their relative state of dis-ease it’s hard to strike a real sympathetic pose, because, you know, they’re FINE. Except they’re not fine. I’m not, I promise. When I was younger, I lived in Macon, GA. I don’t remember much about it, but that’s fine, all you need to know for the purposes of this particular anecdote is that Macon, GA is in the south. 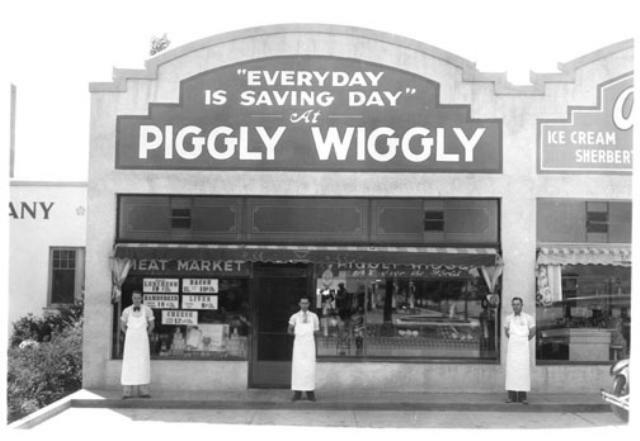 The grocery store chain of choice is named PIGGLY WIGGLY. I almost wrote “called” which would be okay, like a nickname that the townspeople gave it. But no, it’s named. Like, the name that the entrepreneurs decided upon. Anyway, apparently, there was a day that triggered my family’s move AWAY from the South (Macon,GA) to the Faux-South (Gainesville, FL), and that day was the day I came home from daycare nursing an injury or whatever. It wasn’t the fact that I’d hurt my head. Cranial injuries can be forgiven, what happened after was the real crime. I like to think that the bags were packed IMMEDIATELY, but I’m sure it took at least a day or two. And I’m glad for it, because we all know that “head” is a one syllable word, even if, for a brief period of time, I did NOT know that. I feel as if someone took a blanket of cotton, lined it with tacks, and wrapped it around my brain, and each time I try to put together more than two thoughts, the blanket tightens. I can’t even watch really cute videos on youtube like this one. Every interaction with another person is just a race to the end. You do that whole thing for a while to try to bootstrap yourself into being happy but it never works, and maybe even makes things worse because you think “Holy crap am I trying to make myself feel good because there are people who are starving to death? That doesn’t seem okay AT ALL.” It’s 4:53. I don’t know that I can be asleep much before midnight, that means I have 7 hours to get rid of. Only because of the compromised nature of my brain I can’t actually DO anything in that 7 hours, because all of the stuff I need to do leans pretty heavily on my ability to think. That’s where this one ends. This one makes you uncomfortable.